Wicker Living is participating in an advertising program that can save you hundreds of dollars. 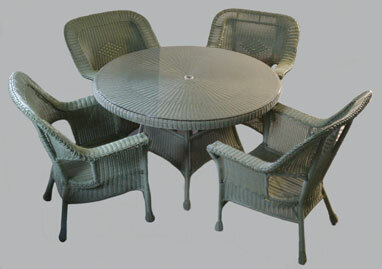 Wicker Living is offering a 6-piece wicker patio dining set up for bid through WLEV 100.7 FM Radio and Cat Country 96 FM Radio in Allentown PA from April 4 through April 11, 2011. Check it out for your self and place your own bid. The on-line MSRP is $2,160.64. The retail price is $1,500.20. As long as you bid less than the retail price, you save. Don’t miss this opportunity to get your own new wicker patio dining set.